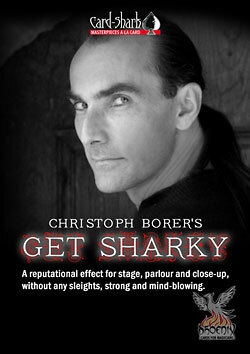 Christoph Borer, the inventor of Get Sharky, released this effect years ago but only in the German speaking countries where it gathered great reputation. Now it is available in an even more convincing version using Phoenix cards. We fooled all great names in magic in Atlanta, San Diego and at the Magic Castle, Hollywood. The method is so brilliant you'll love to perform it. Available with both red and blue backs.